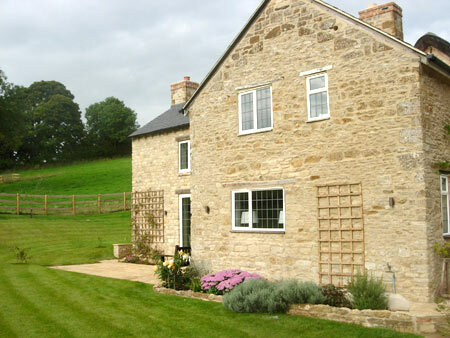 This was the extension of a very small cottage to improve its accommodation along with the conversion of the attached redundant barn. 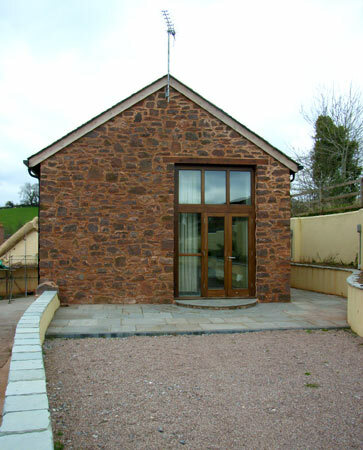 Our client wished to extend the usable area of the building into an adjacent barn and to upgrade and improve the whole building. 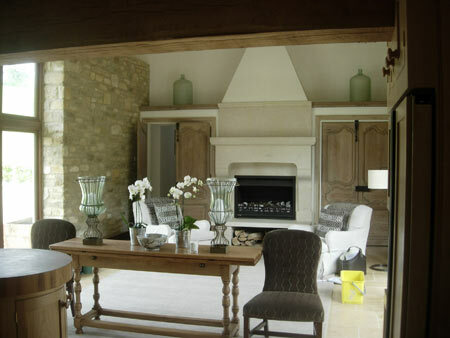 We designed and constructed a simple two story living room extension with a bedroom over developed the barn to contain the new kitchen and family room. 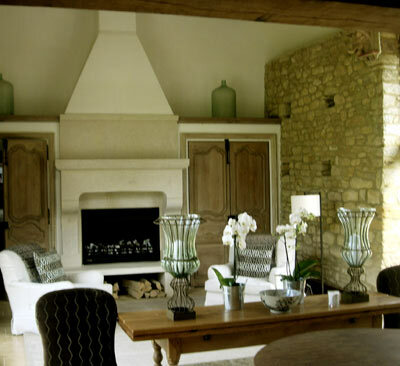 The large fireplace was designed from small photograph of a similar stone fire seen in France. 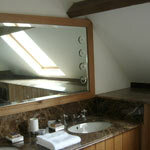 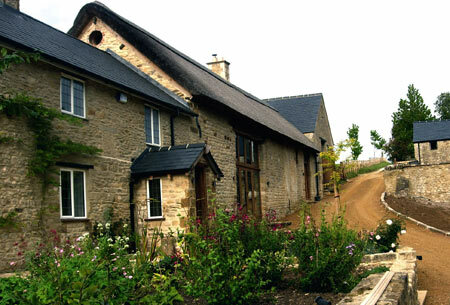 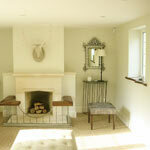 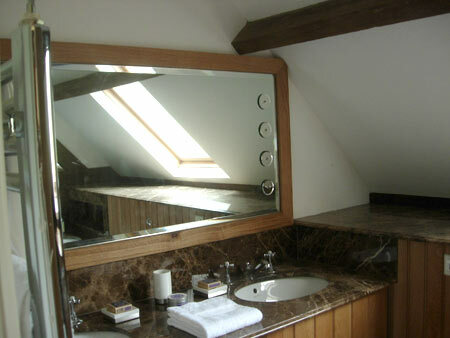 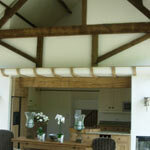 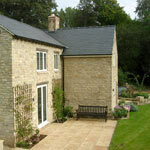 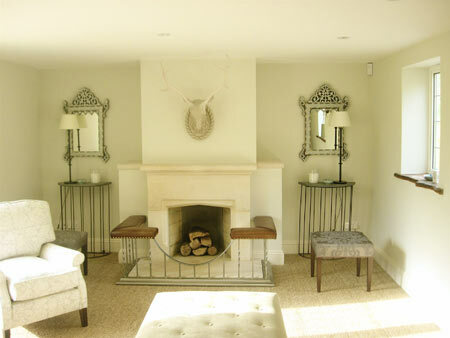 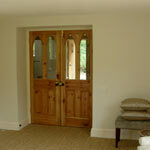 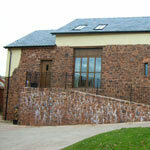 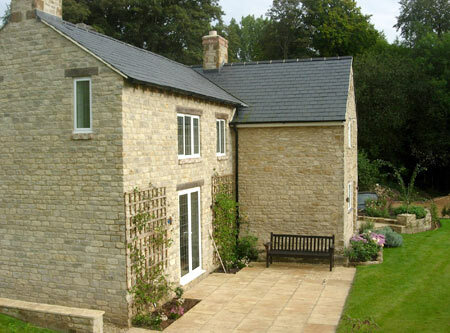 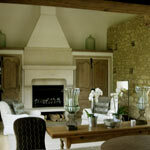 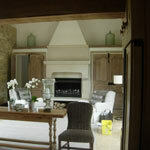 Working with the stonemason’s we developed the details to ensure it could be constructed inside the refurbished barn. 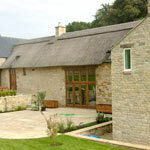 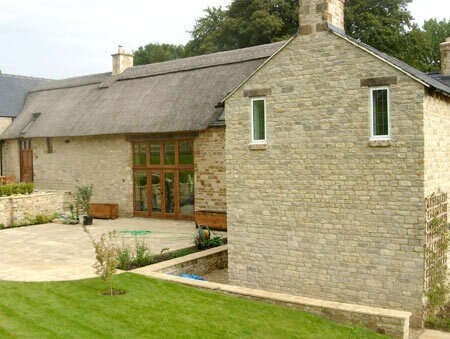 Externally the barn was thatched to replace the old corrugated metal roofing and a new landscaped garden and driveway were added. 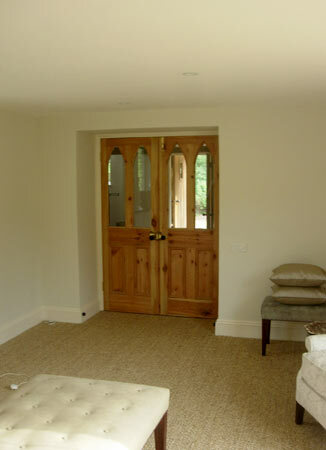 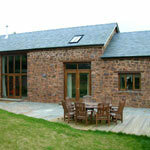 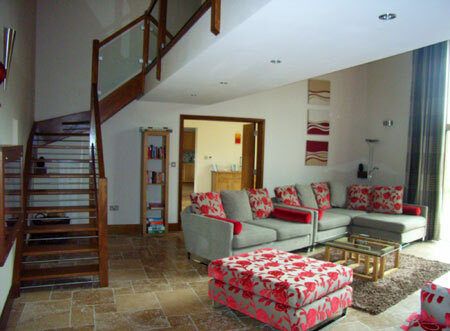 Natural materials and finishes were used throughout with efficient under floor heating and high levels of insulation. 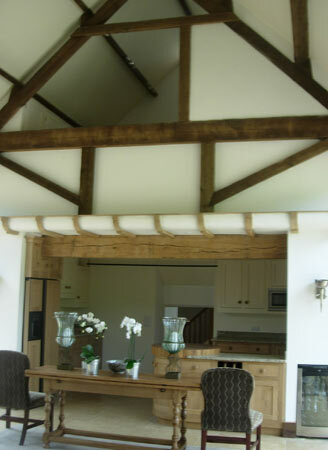 Adjacent to a Grade II* manor house the barn was in a dilapidated state such that part had collapsed. 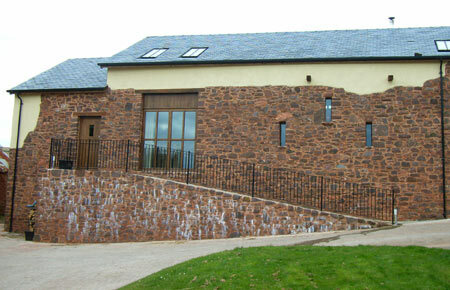 The LPA and the Conservation Officer supported the application on the understanding that the re-built barn reflected the appearance of the original. 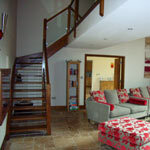 Following careful measurement and recording a design that made the most of the interior levels and height was achieved. 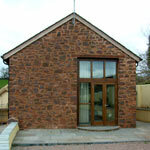 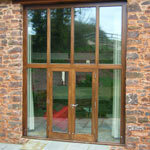 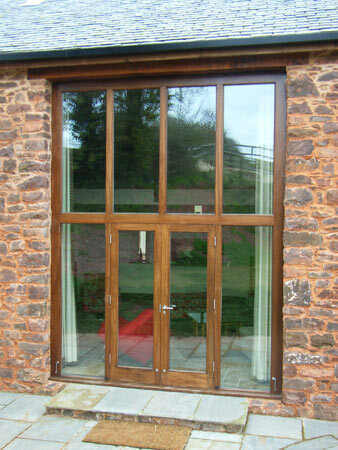 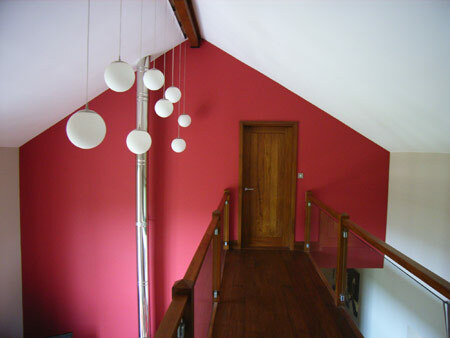 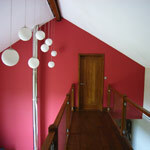 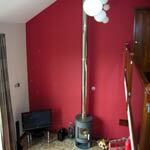 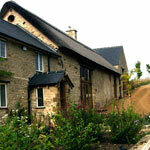 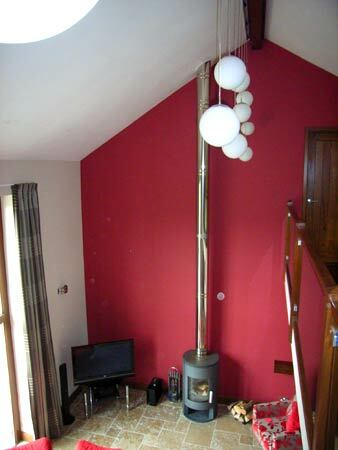 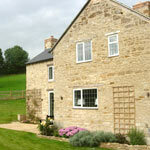 High standards of insulation within the development have resulted in a very efficient building.